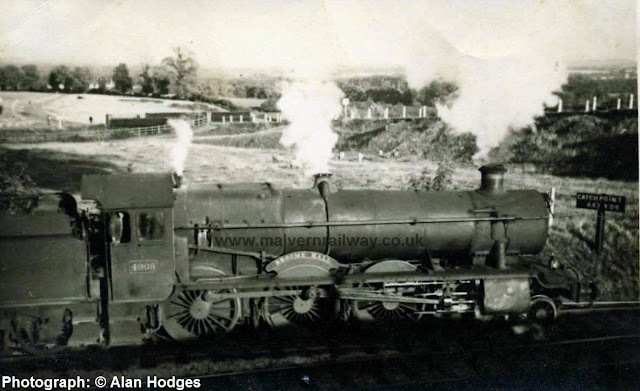 This week's post comes courtesy of Alan Hodges, who has provided this fantastic shot of 4908 'Broome Hall' crossing Malvern Common on its way to Ledbury in 1955. The picture is even more interesting because it shows a rare angle of the northern side of the old LMS bridge under Peachfield Road. Broome Hall was built in 1929 and sadly dismantled at a scrapyard in South Wales in 1964, but it had already outlived the Tewkesbury branch line in the background by the time this picture was taken.